This week at PopMatters I join the burgeoning field of people who, despite being completely unqualified to do so, feel the need offer design and business consulting services to Nintendo. As is usually the case, Gus Mastrapa beats me to the punch with an excellent article parodying exactly the kind of column I wrote. However, there’s a seed of truth in every joke. Gus’ overall theme that people want Nintendo to make fun games, make more of them, and make them more widely accessible is what got me thinking about the topic in the first place. My thoughts came together as I played Game & Wario for the Wii U. Its full of weird experiments and short mini games that reminded me that Nintendo still knows how to make (or hire people who know how to make) arcade style games that would fit right in with the ongoing neo-arcade revival on mobile devices. In fact, they’ve been using the Wario brand as a way to do this for years, but all the quirky, bizarre, and compulsively repayable games have been locked away on cartridges, disks, and single platforms. I feel like Nintendo could use Wario as means to establish itself in the changing game landscape. Mario and Zelda would continue on as major tentpoles and prestige titles, but Wario would embody the company’s experimental efforts. And not, the “let’s make Link flat” type experiments; I’m talking about “Let’s bring Cactus in to make some Wario Ware” type of experiments. Take a page from Steam and set up flash sales or social hooks that entitle players to new games if they score certain achievements in the current ones. Take chances in such a way that plays into the character that’s most aligned with grunginess, throw out some weird ideas, and see what happens. 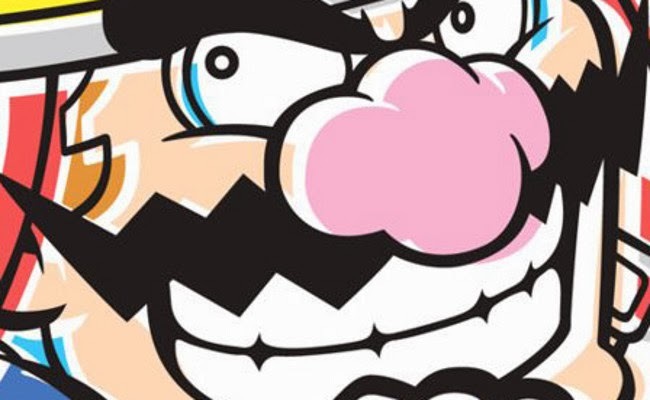 Wario has always been a strange black sheep in the Nintendo pantheon, so why not take advantage of the history of thematic and mechanical weirdness and use him as the face of a new era for Nintendo?